Give your huge gathering a customized presentation with Rose Gold Number Balloons! 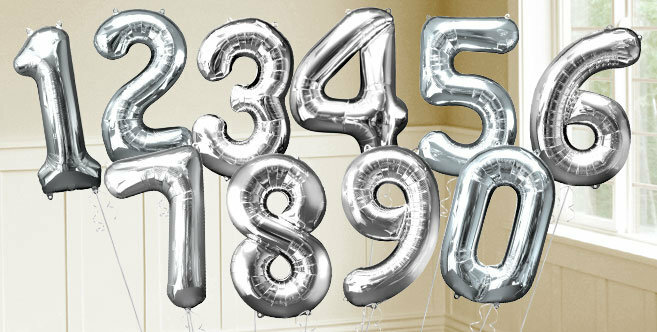 This gathering of metallic blow ups offers each number from zero to nine, so you can blend and match to structure any number. Whether you're praising a major birthday, graduation or commemoration, these sparkling Rose Gold Number Balloons are ideal for your festival. Blend and match with arranging foil and latex inflatables, blow up embellishments, strong shading tableware and other gathering supplies for a custom gathering theme!